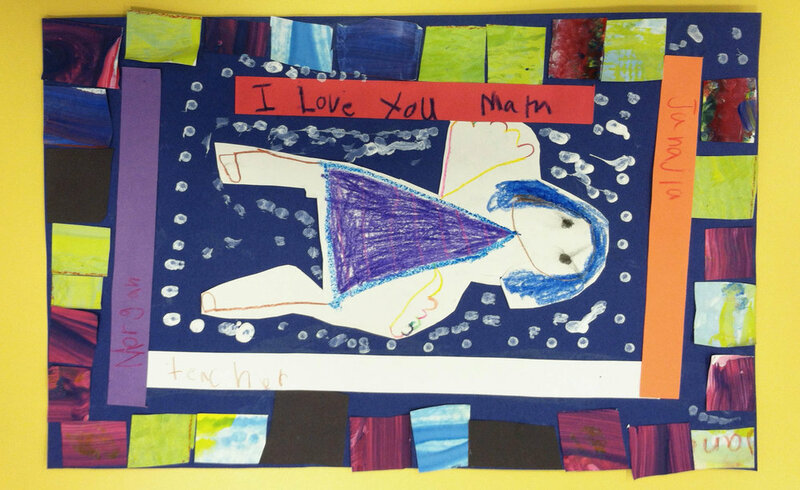 Kindergarteners and first-graders made story quilt blocks inspired by Faith Ringgold at Byck Elementary. They started with painting their own papers for their colorful quilt borders. It was very messy and very fun!